Concurrent with the early days of this blog, I wound up having my love for The Simpsons rekindled. With this in mind, around September 2013, I decided to take on one of the show’s most controversial eras – the widely condemned Mike Scully era, stretching from Seasons 9 through 13-ish. As I began my slow, slow investigation of the Scully years, though, a thought occurred. For there was this one episode that I discovered had been a send-up to this old show, called The Prisoner. It was this weird, cult-ish thing that one particular episode, “The Computer Wore Menace Shoes”, parodied. There was a bubble, an island, a numbered society, and what not. Thing is, many Simpsons bloggers, from what I recall, haven’t watched the show. That doesn’t make their points invalid, but it does make me wonder… is there a niche I can fill when reviewing that particular episode? In that, I could watch The Prisoner as a completely new viewer, then analyze this episode with a new look at a show often cited as a cult classic? Well… you can probably guess my answer. Twelve. 12. Zwolf. Douze. Damn. 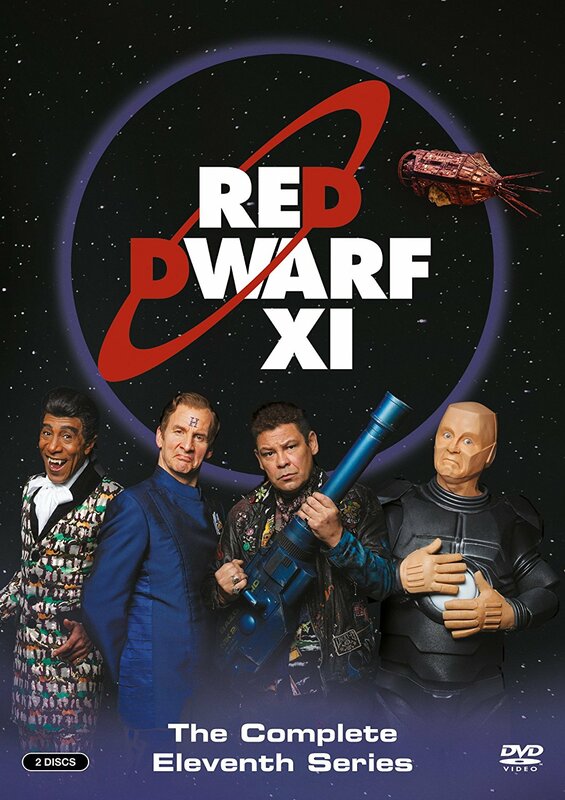 After a wait of a month and a half since its premiere in Britain, Red Dwarf XI has made its debut on America’s iTunes. I’m assuming they saved the iTunes release until today in order to keep the DVD sales at least somewhat respectable. Then again, given that the show debut a week before it’s TV release on UKTVPlay, one has to wonder what Dave was thinking. Nonetheless, I’m glad the show is out stateside, and that I can review it without dealing with viruses from a Torrent. (Yes, I’m a dork.) It’s the first Red Dwarf since 2012. In that time frame, there have been an entire series of Olympics, four Super Bowls, a change in the British Premiership and its relationship with Europe, and America is torn between the two least liked presidential candidates since the 19th century. Image taken from the Red Dwarf website. “Kryten, set a course for Red Dwarf. The slime’s coming home!” – Rimmer, at the end of “The Beginning”. Now, imagine if these rocks were war veterans of various strategies and personalities, part of a quasi-militaristic race of aliens, and trying to interact with humans – even living with/raising a half-human who is about 11/12 years old, because the team’s sorta-leader married a guitarist. Oh, boy. Season 10. The second of four (and change) we’re going to be covering… at a snail’s pace. I guess. No matter what the critical response to Red Dwarf: Back to Earth was, the ratings were deemed to be extraordinary. Gaining the highest ever ratings for the Dave network, speculation was rampant and immediate concerning a tenth series. The first word came out in June 2010, when the actors stated that more Red Dwarf would be made. However, nothing was confirmed then. 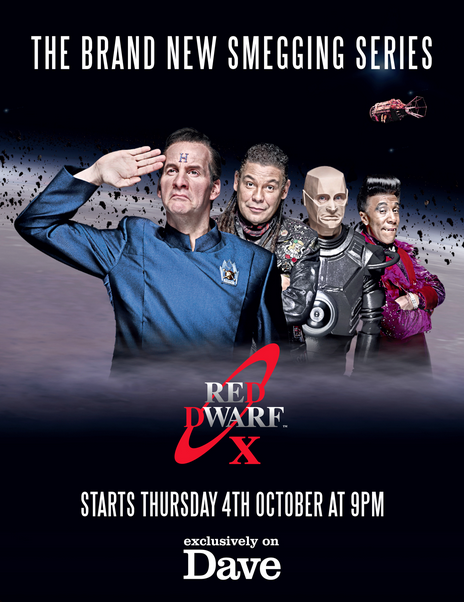 It wasn’t until April 2011 when UKTV finally confirmed that Red Dwarf would be back for a full series. So, would Red Dwarf get the same critique as other shows? Or would it be a return to form? Well, before we dive in, let’s just see how the production went. This will be quick, because the fact of the matter is that it all depended on the budget… which was, yet again, barely there. Doug Naylor had to fight just to get a studio audience. Once the sets were dismantled, any extra scene had to be shot in front of a green screen- any episode containing these were aired to a studio audience, not taped like the other episodes. However, this series did go “back to basics”. The Red Dwarf models were brought back (thank smeg), the sets gained vibrant colors again, Howard Goodall was brought back to do the music, Howard Burden was back to do the costumes… it really felt like the show was being returned to the “tried and true”. Granted, budget limitations constrained the episodes. Ambitious projects such as “Back to Reality”, “Gunmen of the Apocalypse”, and “Dimension Jump”? Not done this time around. This was more like Series II- back to basics. So, what was the end result? Was the show back to form? Or was it proof that Red Dwarf should’ve ended with Rimmer blowing the Time Drive out of the sky? Trojan: Rimmer gets an SOS call from a ship… where his brother is the ship’s hologram. He realizes that he needs to beat his brother at his own game, and pass the astro-nav exam… the one that he failed several times. Fathers and Suns: Lister decides to help himself on Fathers Day, by trying to be a better father to himself. Makes sense. Oh, and Rimmer installs a new computer, Pree. Lemons: After a time-travel incident involving flat-pack furniture, the gang are sent back to 23AD England. They have to travel to India to get some potatoes to get a battery to go back to Red Dwarf. Entangled: A game of poker goes deadly when Lister loses Rimmer. He is given 24 hours to turn over Rimmer, or have a bomb that’s attached to his pelvis blown up. Oh, and Kryten and Cat become quantum entangled. Dear Dave: Lister gets in a love triangle with an old girlfriend and two snack dispensers. The Beginning: Simulants finally begin playing war games with the Dwarfers. This seems like the end for the gang… even Rimmer, who never accomplished any of his goals. With those two sentences (and “The End”/”The Smeg It Is” slides), on 5 April 1999, Red Dwarf VIII faded away into Britcom history. Initially hailed as a return to form by many a fan, it’s reputation slipped quite a bit over ten years. By 2009, those that hated Series VIII loathed it. I consider “Krytie TV” and “Pete Part II” to be the worst episodes in British sci-fi history and British comedy history. Yes. Worse than “The Twin Dilemma”. Worse than The Wright Way. The only worthwhile episode in that entire piece of schlock is “Cassandra”, and even that’s held back by off pacing and awkward character moments. Yet, at the time, it was popular enough to bring up a question: will there be a movie? Wait, There Was a Red Dwarf Movie Planned? Movie spin-offs of TV shows are relatively commonplace. Yet, it would be a testament to the power of Red Dwarf if there was an actual theatrical spin-off. Theatrical movies directly spun off from sitcoms are something of an unusual breed (correct me if I’m wrong), and almost unheard of when it pertains to Britcoms. Ultimately, the film never really went through. Actually, if Doug Naylor is to be believed, a script was written, and they had plans for production. However, setback after setback, false funding after contract failure, damned the project. The BBC didn’t feel the script was up to par for a theater. Maybe they learned their lesson from Series VIII. Or, maybe they were too busy concentrating on what appeared to be their new cash cow in the making, some little show called Doctor Who. So, the project was going nowhere. However, between February and August of 2008, BBC Worldwide appeared to strike a deal with Naylor: produce a miniseries consisting of three episodes, at least two of which could easily be strung into something resembling movie. Thus, Back to Earth was born. So, How the Hell Was This Thing Produced? 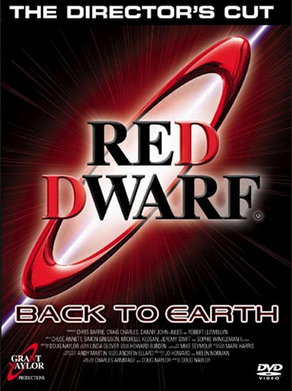 Intended to be two episodes and Red Dwarf Unplugged, the movie was expanded to three episodes. A big problem facing production? The thing barely had a budget. With the script’s plans, the writers decided to (yet again) kibosh the studio audience to save money they barely even had. By kibosh, I mean it was decided not to even bring an audience in to record their reaction as the episodes aired. Thus, for the first time in history, Red Dwarf was literally laughless. Sets were done on the cheap: half of the sets were built out of things they found in the closet. Camera work was done to try and make it seem the thing had a bigger budget than it actually did. The crew was brought in to be extras. Yes, they didn’t have money for extras. Chloe Annett was also asked to join up. It would appear that her experience with the movie went far more smoothly. Why? Well… they used a picture of her at the beginning, for one. The producers and her agent must’ve gotten along well. This episode also seemed to eschew the “traditional” camera yet again, going back to a filmized-style seen in Series VII. This time, the red-camera system was used. Effects seemed to reach a happier medium, with a cross between CGI and models used. Red Dwarf, for example, had it’s model rebuilt (thank god). So, what was the end result? Guess it’s time to watch. It’s back to Red Dwarf. Yes, folks! I’ve said it before, and I’ll say it again! 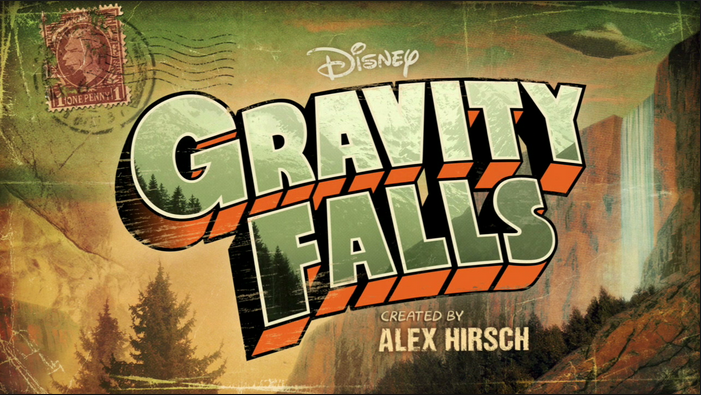 Gravity Falls is indeed coming back. Mark your calendars! Those in the US, “Scaryoke” premieres August 1st in the US on the Disney Channel. Those in the UK, Ireland, Canada, Australia… I’ve got nothing right now. BUT IT IS COMING! I’ve made it clear that Gravity Falls is one of my favorite TV shows currently in production, and one of my all time favorite shows, period. Season 1, at it’s best, didn’t really break the mold as much as it created an entirely new mold. Even at it’s worst, it wasn’t really bad; it just didn’t excite me as much as the best episodes did. It’s characters, plots, symbolism, and art… all of it ranged from “pretty damn good” to “sublime”. Even characters that seemed like they didn’t get development actually have so much potential to develop, that I’m willing to excuse their lack of focus. “Scaryoke”, as mentioned above will launch the season on the Disney Channel. It will ape some plot elements from “Double Dipper”, with a “Mystery Shack is Back” party… this time, it’s overrun by “unwelcome guests”. “Into the Bunker” will be the first new episode premiered on Disney X-D, on August 4th. It will focus on the Mystery Shack employees diving deep into an underground bunker to see the true writer of the books. There will be episodes dedicated to fleshing out characters that previously had bit or supporting parts. These include Wendy and Pacifica, two characters that, in my personal opinion, could’ve had so much more development (see below). 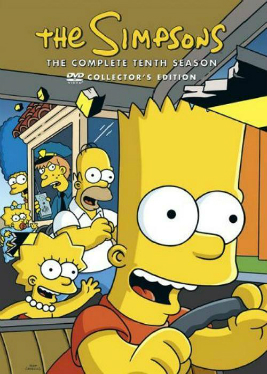 One of the writers for this season will be Josh Weinstein… the same Josh Weinstein that (along with Bill Oakley) ran Seasons 7 and 8 for The Simpsons. Seasons 7 and 8 were more well known for their focus on character while also being more down to earth compared to Season 5. Weinstein’s scripts during seasons 5 and (to a lesser extent) 6 were also more “domestic” and less surreal than the rest of the episodes during those two seasons. Oh, he also created Mission Hill, a tragically underrated TV show. Barring any changes in my schedule, I will be able to catch episode 1 when it airs. Now, what do I want in this series? Let’s run it down, lads! As mentioned above, two of the show’s most underused characters are Wendy and Pacifica. I saw the untapped potential these two had. They were tragically reduced to relatively one-dimensional roles: Dipper fell in love with the Dave Lister wannabe who was going out with Robbie, and Pacifica acted like a snob. Maybe we could get some depth into their characters. What did they know about the incidents in Gravity Falls? What power does Pacifica hold? Maybe the Dipper/Wendy relationship will be fleshed out to be more professional and more staunchly platonic. What power does Stan really have? While I wasn’t too surprised at the reveal at the end of the season, it did open a new wave of questions. “Boyz Crazy”, the platinum episode of the season (and thus far, the series), revealed Robbie to have hypnotized Wendy via music. Where did he get the music? What connections does he have? What was his intent? Is he a perverted jackass, or is there another motive? Hopefully, the plots should take a more dramatic turn. I would implement something of a season-long arc, maybe a self-contained episode or two sprinkled in. While a part of me wants new, creative antagonists, I believe that the show’s best source of conflict will be between it’s established characters. It’s a bit of a short list, but I think that’s more of a testament to the quality of Gravity Falls than anything else. Really, the big concern I have is that the show should keep up to the standards of the first season. It’ll be tough, but I think the writers will do well. Well, we’re here. Series VIII. The last of the 51 episodes commissioned by BBC Two. To steal a line from Russell Wilson, it’s been a long road, getting from “The End” to here. Now, Series VII had received a lukewarm reception amongst fans, many of whom (including yours truly) deriding it for shaking up the formula in a manner that replaced an interesting character with a bland, static character; replacing the beautiful models with low-quality CGI; mishandled almost every character; and, maybe most damning of all, syphoned the depth out of the show in favour of stock sci-fi plots and sitcom humour. So, how was Doug Naylor to appease fans after such a radical change? ANOTHER RADICAL CHANGE! First off, a combination of the love of his work on Series VII and sudden emptiness in his schedule (The Brittas Empire had been cancelled) convinced Chris Barrie to reprise his role as Rimmer full-time. A hole in the cast dynamic had been filled… seemingly, at least. Doug Naylor seemed to have tired of the “Starbug putzes around in space” storyline of the past two series, and desired to bring the “small rouge one” back. Yet, he also had been watching Series I-III for the remaster (side note: stick to the originals). For some reason, he wanted to elaborate on the conflict between Rimmer, Lister, and Captain Hollister. So, it was decided to make it so that the core four (plus Kochanski) were no longer alone. To facilitate this, Red Dwarf was essentially turned into a prison comedy, allowing Rimmer and Lister to interact with the Captain and others. Yet, the actors that played Petersen, Selby, and Chen were not available on a regular basis. All of them had become successful and couldn’t fit the show into their schedule. Ultimately, new characters had to be created, such as Kill Crazy (played by Jake Wood) and Warden Ackerman (played by Gavin McTavish). Strangely enough, a combination of an eight-episode series plus a low budget meant that two stories had to be stretched out. “Back in the Red”, originally an hour-long two parter, was transformed into a 90-minute three-parter. “Pete” (originally titled “Captain’s Office”) was also transformed into a two-parter, changing from an episode dominated by Lister and Rimmer’s troubles with Captain Hollister into one where the crew have to fight… a dinosaur. The end of the series was actually devised to be used in case the series wasn’t renewed. The crew would’ve wound up back at Earth, wrecked up the place, and traded insurance details with the few remaining people to restore damage. It was going to be epic… until Doug Naylor took a look at the budget. Thus, another finale had to be devised, which had four, count em, four endings planned. The one they went with was actually whipped up at the last minute. Ultimately, this series proved to be controversial, much like VI and VII were. It’s worth noting that, over the course of the series, half of the viewing audience left. “Back in the Red” premiered with 8.05 million viewers. By “Only the Good”, only 4.24 million were still tuned in. Initial reception was relatively positive, claiming that the show had “returned to form” with the return to more comic strips and Red Dwarf. Now? Well, fan site Ganymede and Titan did a survey in 2013 to commemerate the 25th anniversary of the first ever Red Dwarf episode. The bottom 5 episodes? All from Series VIII. Overall, Series VIII took a beating in the poll, ranking as the worst series overall. 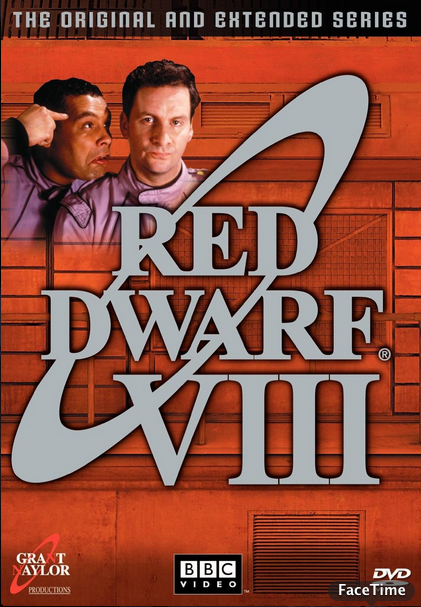 Unlike VI, which shook it’s initial controversial reception to become relatively beloved, and VII, which always seemed to be derided, VIII has gone from being a relatively beloved series to one that is considered the death kneel for Red Dwarf. So, what else is there left to lose? May as well dive in. Oh, one thing: this series has two multi-parters. I have decided that it would be best if I reviewed every storyline, rather than every episode. I’ll still give the episodes separate grades and note the difference between the parts, but it will allow for the reviews to have more of a “flow”. Also, it might be a while between reviews. Anyway, like always, EPISODE RUNDOWN! Back in the Red: Yup, the crew are back in Red Dwarf… and risk jail for stealing a spacecraft and transporting stowaways on board ship. Lister has to get through to a resurrected Rimmer to help the crew escape. However, the resurrected Rimmer has none of the knowledge and development of the previous Rimmer; he’s still pompous and egotistical. One thing leads to another, and the whole of the crew are trapped in a series of unfortunate events that land them in jail… but for reasons not related to the shuttle crash. Cassandra: The crew, now jailed, are signed up to join the “Canaries”, who go into dangerous situations, as they are expendable. While on a “canary” mission, the crew meet Cassandra, who can predict the future… and the deaths of the crew. Krytie TV: Kryten, upset that his physical construction has placed him in the female quarters, is knocked out by several unsavoury prisoners and reprogrammed to start his own TV service, just so the unsavoury prisoners can get video of the women’s quarters. With his new programming, Kryten becomes a ruthless media mogul. Pete: Lister and Rimmer have driven Hollister spare one too many times. After an incident involving medicines, spuds, and hair loss, the two are placed with a psycho with a bird. Meanwhile, the Canaries come across a device that can transform people. The two combine… and create a dinosaur. Only the Good: A ship-eating microbe is brought onboard. As you could guess, the microbe begins to eat the ship. A shortage of escape pods means that the prisoners are left for dead. Rimmer, however, realises that he could try and find the cure for the microbe. …I have a bad feeling about this. Eh, may as well dive in.